Each week the coaches at Boulder City High School nominate an athlete to spotlight for contributions made to his or her team. 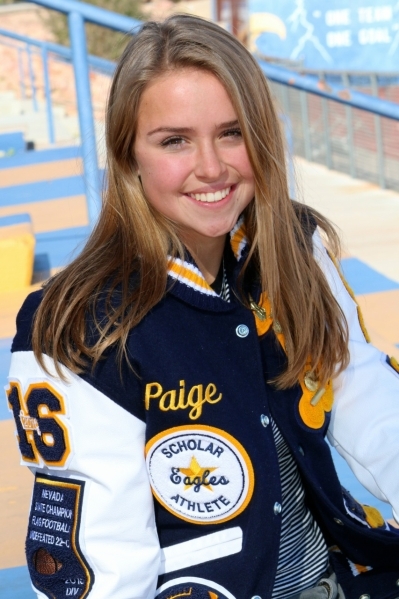 This week’s honoree is senior Paige Buettner, who serves as running back for the flag football team and was part of last year’s 22-0 state championship team. Last seaon, she was the Lady Eagles’ defensive player of the year and the Southern Nevada Flag Football Coaches Association’s All Star after leading the state in sacks with 42 while making 142 tackles. She also had 32 receptions for 372 yards and two touchdowns, and rushed 111 times for 683 yards and 13 touchdowns. She also plays soccer and is on the track team for BCHS. She is the daughter of Hunter and Lyndsay Buettner.